I've add a polygon shapefile that has a field that contains date and time in it's column. I'm sure it is something simple, but I thought I might put this out here to see if anyone may have encountered previously. 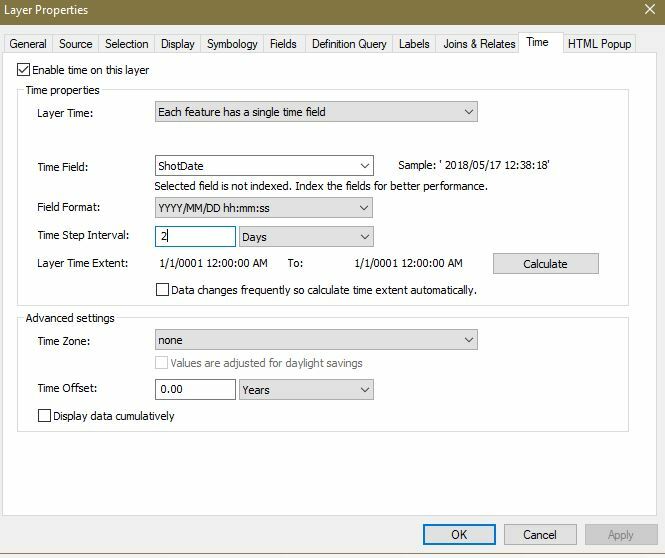 Browse other questions tagged arcgis-desktop arcmap data format timeslider or ask your own question.